New Zealand made a fantastic comeback in the fourth ODI against India in Hamilton. Their bowling attack, led by Trent Boult, returned to form and cleaned up the star-studded Indian batting line-up for a total of 92 runs inside 31 overs. The Kiwi batsmen then chased down the target easily to help the home team win their first match of the series. 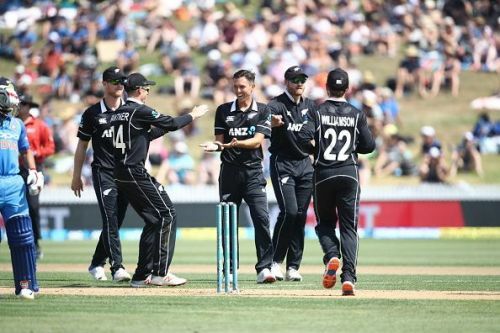 This victory not only helped the Blackcaps salvage some pride after losing the first three matches of the series but also helped them in gaining some momentum ahead of the three-match T20I series scheduled to take place after the ODI series. 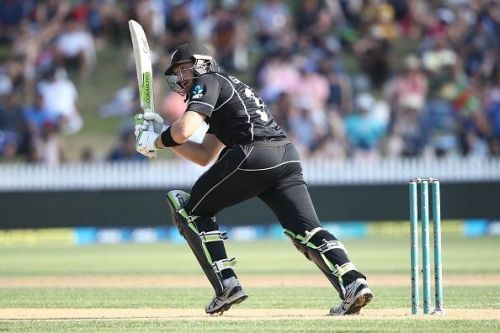 However, there is still one more match left to be played in the ODI series and so, let's have a look at what could New Zealand's playing XI be for the final match at Wellington. New Zealand dropped Colin Munro from the team in the last game and it looks like they may not include him in the fifth game as well owing to a good performance from the new opening pair in the previous game. While Guptill was dismissed cheaply in the previous game, he played some good shots in the middle and gave his team a great start as he had a strike rate of 350 in the innings. He has been struggling with his form in the series and so, the NZ team management would give Guptill a chance to return to form in the final game. Henry Nicholls was promoted in the batting order and played a valuable innings in the fourth ODI. Kane Williamson would most likely use the same opening pair in the fifth ODI so as to finalize their opening combination ahead of the World Cup.